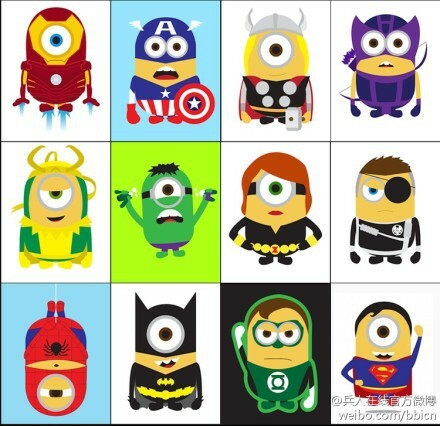 Avenger Minions. . Wallpaper and background images in the The Avengers club tagged: the avengers minions despicable me hulk thor iron man spiderman. This The Avengers photo contains slot, ein einarmigen banditen, schlitz, ein bewaffneter bandit, steckplatz, spielautomat, münzautomat, slot-maschine, münzautomaten, buntglasfenster, glasfenster, and glasmalerei-fenster. There might also be arrestzelle and arrestzelle..